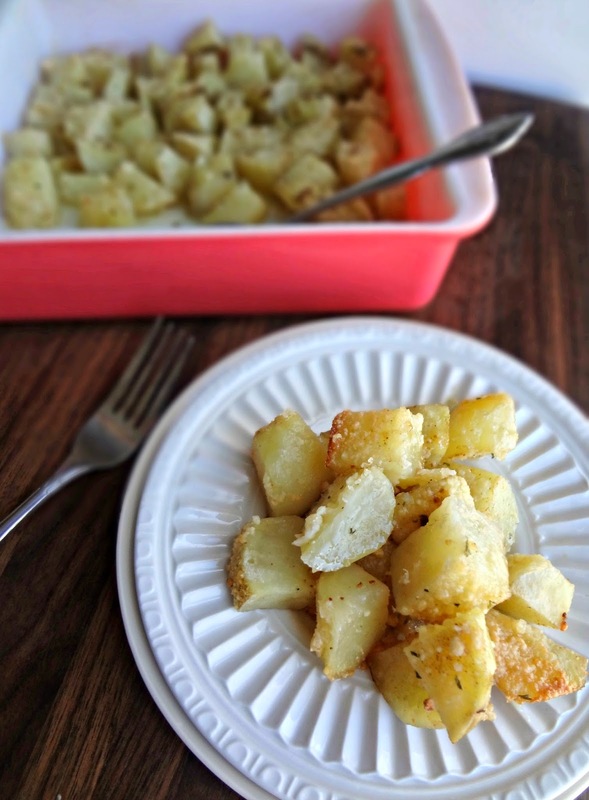 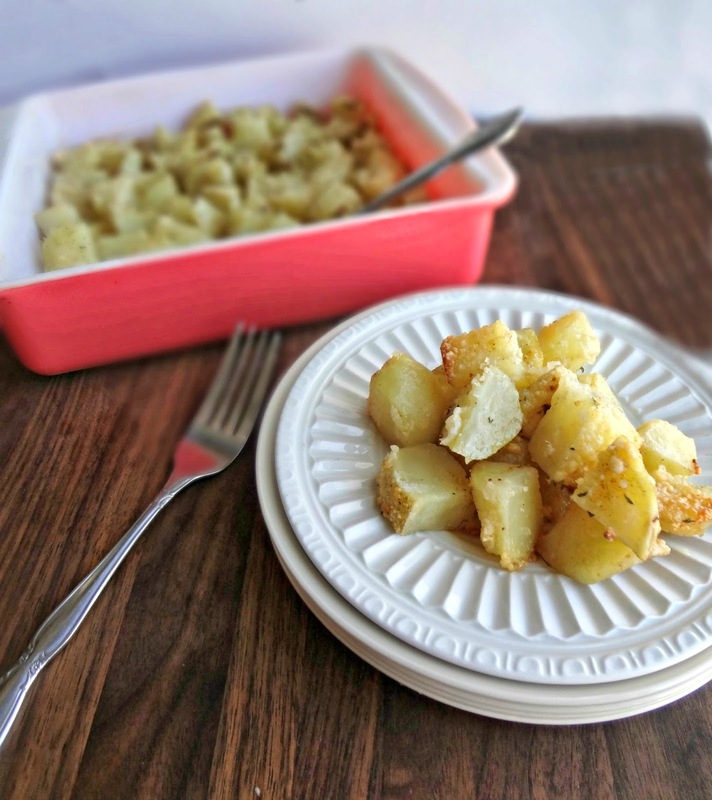 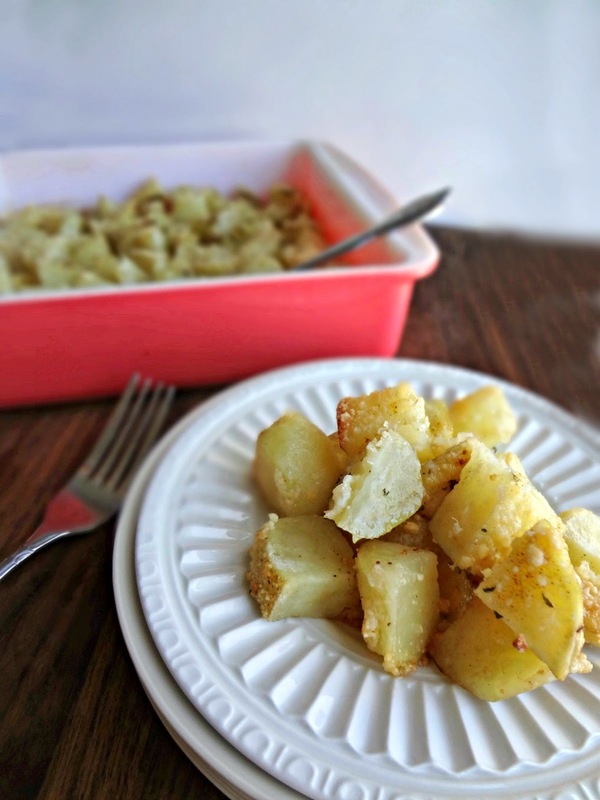 Place potatoes in an ungreased 8"x8" baking dish. 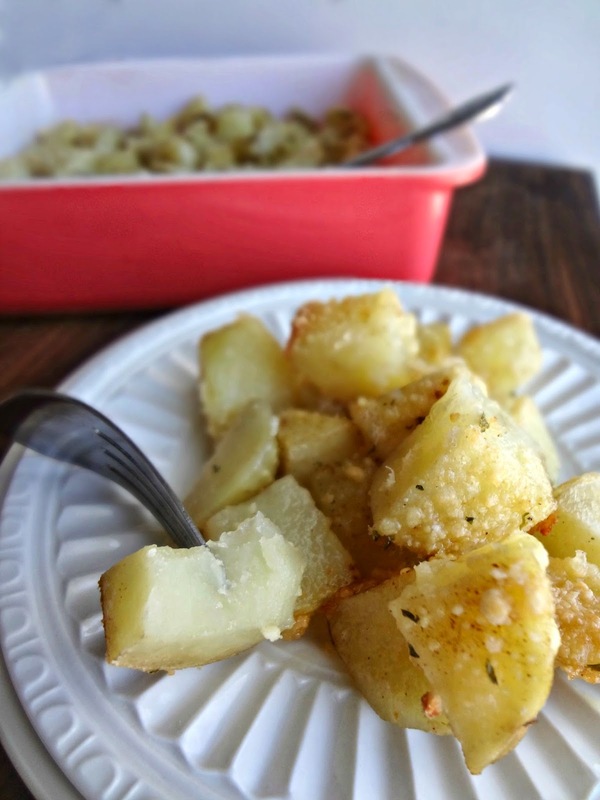 Sprinkle with seasoned salt, Parmesan, and parsley. 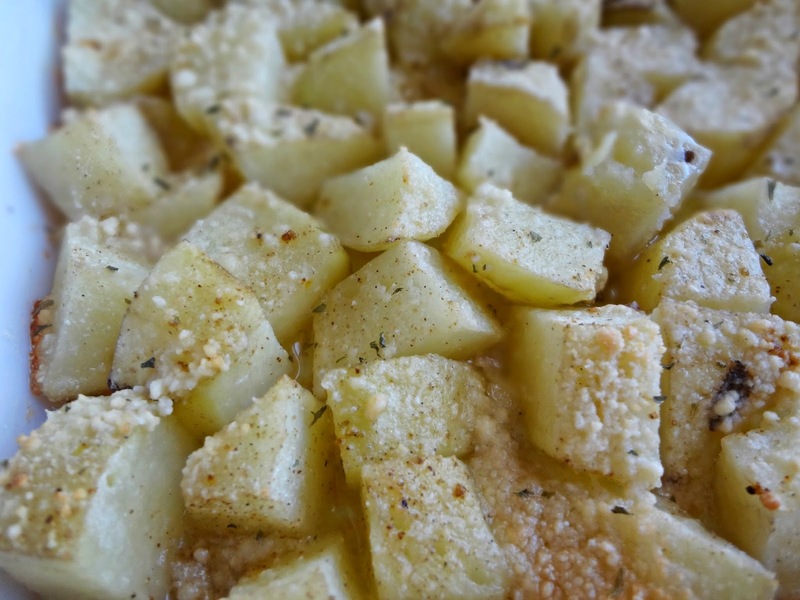 Bake, uncovered, for about 25 minutes, or until the potatoes are fork tender.